Get away. Just the two of you. What’s your story? Every marriage has one. Some of our stories are unfolding beautifully, some have more bumps and twists than we would like. The good news is, all our marriage stories are still being written. Maybe yours could use some spicing up, some help getting unstuck, or maybe you need a new plot line entirely. A Weekend Getaway, presented by FamilyLife Canada, can help you and your spouse write a great story together, God’s way. It’s just one weekend, but it can take your relationship to a whole new level. Because when two people get on the same page…the sky is the limit! What is a Weekend Getaway? Spend a refreshing weekend in Mont-Tremblant, hearing speakers sharing insights and perspectives on marriage with a group of 75 couples interspersed with time for individual couples to reflect on the presentations and enjoy the beautiful surroundings. For more details, pricing and to register visit FamilyLife Canada or call 1.800.247.3180. Diplomat couples be sure to include the code DPL1819 when registering for a special discount. 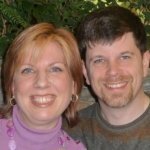 Neil and Sharol are the Directors of FamilyLife Canada and have been ministering to couples as marriage and family pastors for years. They are frequent speakers at the Weekend Getaway and their sense of humour, love for God, and passion for families endear them to people of all ages. Keith and Sheila Gregoire have been married for 25 years and happily married for 20. Sheila is an award-winning marriage author, speaker and blogger. Keith is a community pediatrician and educator at Queen’s University. Together they spend a lot of time driving around North America in an RV, and FaceTiming with their two grown daughters. Che and Shireen have been happily married a little over 15 years. They have two wonderful boys ages 14 and 11. She has been in pastoral ministry for 14 years, with Che ministering alongside her in marriage ministry and being her number one supporter. Che works in the film and television industry, while Shireen is also a primary teacher. 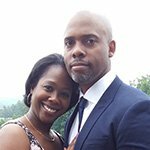 They are both passionate about helping others achieve the best relationship possible in their marriage journey. The weekend is a blend of full group sessions and downtime for the two of you. In fact a date night is built right in. The sessions have a workshop feel, mixing great information with time and tools for you to process what you are learning. And we mean just the two of you. There is no awkward sharing with strangers.